The latest edition of Petite Purls has been released and there is a cute little pullover in it (if I do say so myself). 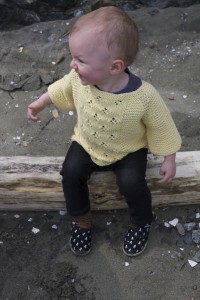 Petite Purls is an online knitting magazine with some great free patterns for wee ones. There is everything from sweaters and cardigans, to adorable party hats and toys. 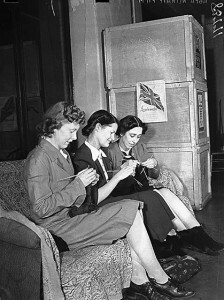 Their most recent edition includes a few sewing patterns and patterns that include both knitting and sewing combined. My little pullover Blossom is a plain old knit but it will make the perfect baby shower gift! One of my dear friends is expecting a girl and she already has little Violet’s name picked out. What do you knit for a baby girl named Vi? 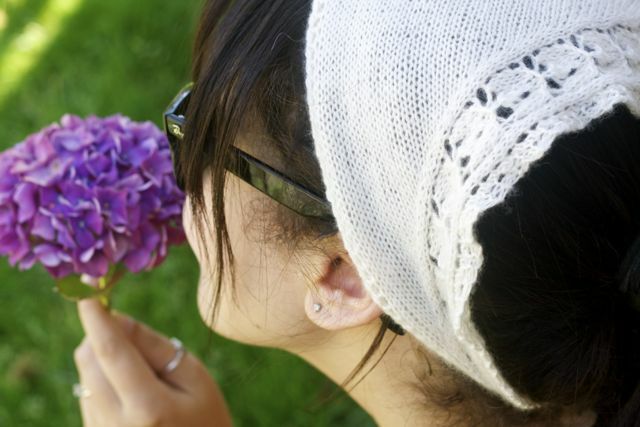 Why a little violet pullover of course! I eked this out of 1 skein of Tosh Merino DK (if you want a sleeve more than an inch you will need 2 skeins) and it’s just adorable. 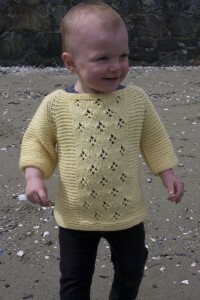 Short sleeves make it perfect for layering a tiny new baby, but the pattern ranges in size from newborn to 8 years old. 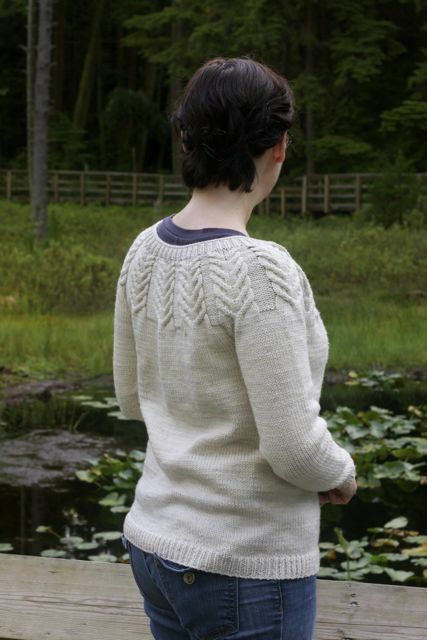 You can get the patter here, all you need is some yarn to match! I think I can officially call myself obsessed with the Antler Cable. 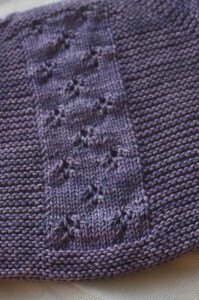 I have now designed mittens, a hat, and a cardigan featuring this simple graphic cable. 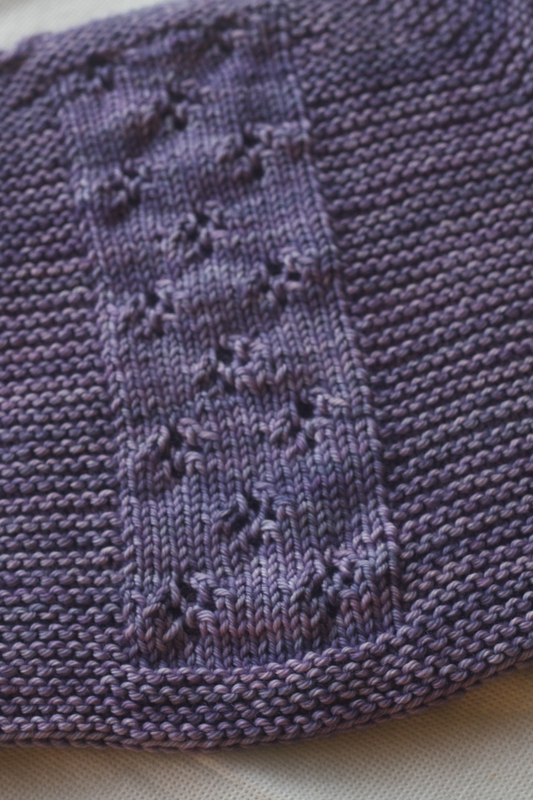 I took a little step further with the cardigan though…. 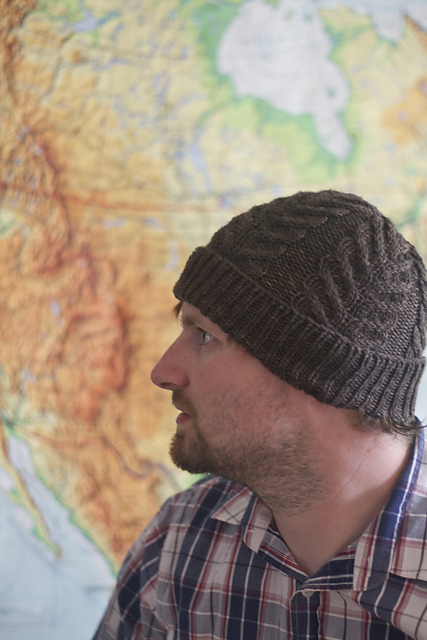 Meet Antler, part of the latest Tin Can Knits production Pacific Knits. With the launch upon us (it’s this Friday at 7 in case you forgot) you can find this sweater in the window at point grey. It features an antler cable, it is knit in Madelinetosh Vintage in the colourway Antler, and the buttons? Vintage antler buttons of course! 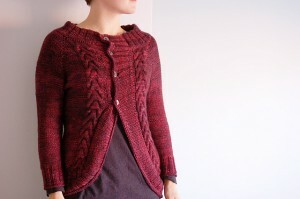 This cardigan is knit from the bottom up (yay, hardly any seeming!) and is sized from wee one to 4XL. 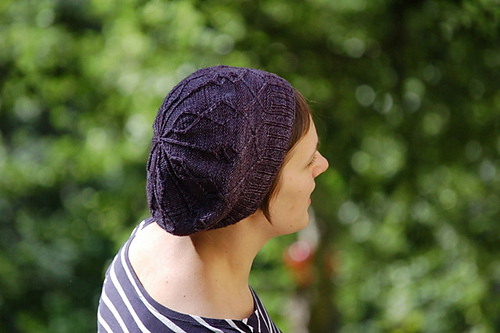 The matching hat (also in a wide range of sizes) is a freebie you can download here. 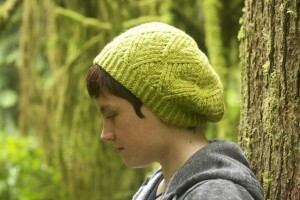 The yarn for the hat is Madelinetosh Vintage and we used the colour Twig. 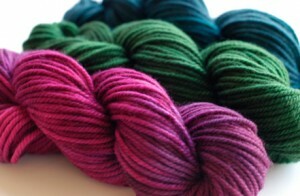 We have 2 great new yarns from SweetGeorgia and (of course) I’m thrilled. We have the new Superwash Chunky, perfect for accessories and children’s items (it’s so hard to find a superwash in a nice chunky weight!). 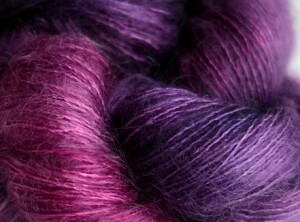 We also have Silk Mist, a lovely combination of silk and mohair. While silk and mohair are really always popular, they are really quite dreamy in the subtle variations of SweetGeorgia’s hand dyes. The best part? A great selection of Felicia’s colourways, it’s like walking by a misty rainbow. 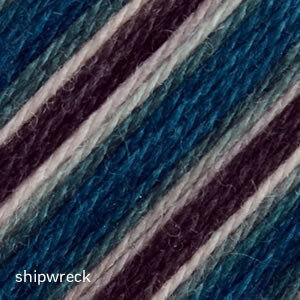 I am loving some chunky yarn these days (quick is key) and I’m smitten with our new colourway Shipwreck too! Something about cooler nights always boosts my enthusiasm for chunky yarns. They are perfect for a cowl or a hat, maybe some mittens too! Perhaps Jane Richmond’s Dogwood Set? Pick up a couple of skeins and go wild! You’ll be done before the weekend is over! 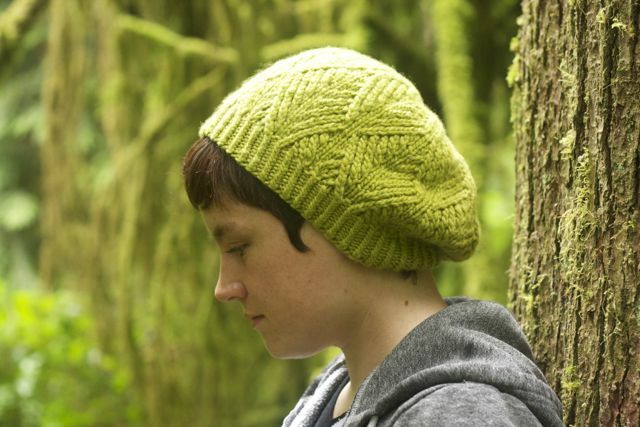 I’m proud to announce that Pacific Knits is launching at Urban Yarns September 21st! This book has been a year in the making (really since 9 Months of Knitting was released) and I can’t wait for everyone to see it. Pacific Knits has 18 irresistibly earthy patterns, almost all ranging in sizes from newborn to 4XL. 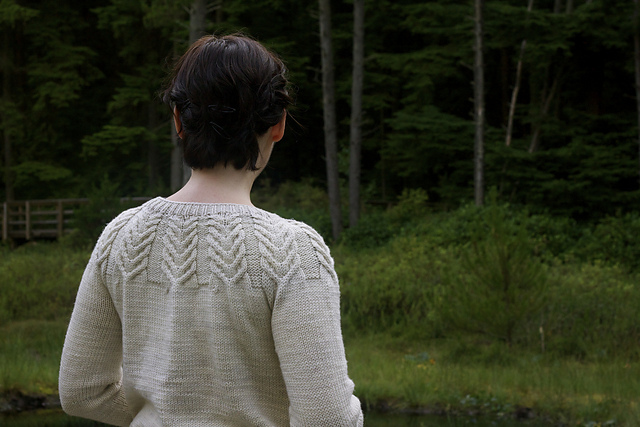 We’ve got something for everyone: lace, colourwork, texture, and cables. 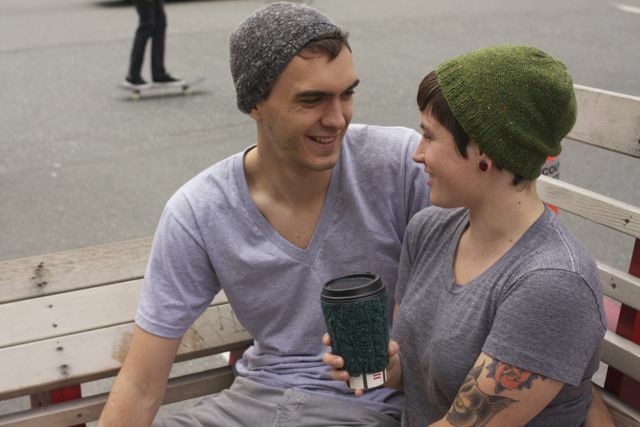 There are mittens, hats, scarves, shawls, socks, tops, and sweaters fun for the whole family! Pacific Knits is a collection of patterns inspired by the Pacific northwest, where we both grew up. Wild and pretty, rustic and urban we love the city we come from and the nature that surrounds it. From camping in the great outdoors to strolling down Main street with your grande latte, it’s a great place to live! My delightful design partner Emily is in town and both of us will be signing books, chatting, and at least Emily will have wine in her hand from 7-9. We will have all the samples from the book and look forward to seeing everyone there!